The Rue Cler is one of my favorite stops in Paris. The neighborhood is just a few blocks long, but boasts some of the best traditional street markets in the city. 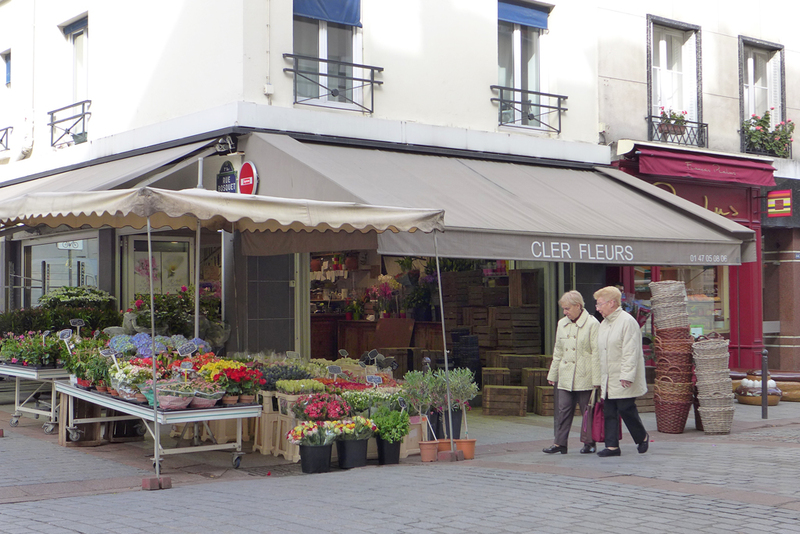 On the Rue Cler you buy your cheese, bread, flowers and meat from different merchants along the way. This photo was taken early morning, when the older crowds were examining the best goods of the day. This entry was posted in Photography and tagged Paris, Rue Cler. Bookmark the permalink. I also love Rue Cler! Thank you for this morning view. You are welcome! Happy you enjoyed.